Data from FBI report shows zero murders occurred in Newtown in 2012. 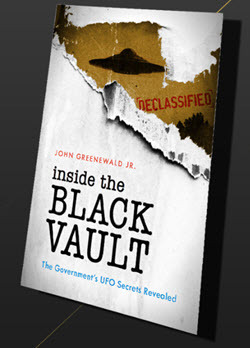 Although The Black Vault is not one that alleges “false flag” operations for every tragedy, it is something of interest when the document really showed the FBI claimed no deaths, so this is either a) a mistake b) lazy research on the part of the FBI or although highly unlikely, c) proof of a cover-up / conspiracy. 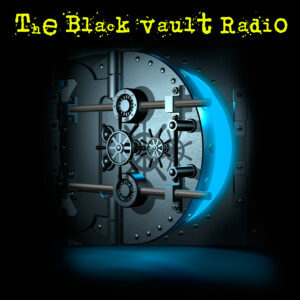 Recently, the FBI published their “Crime in the United States 2012” statistics. 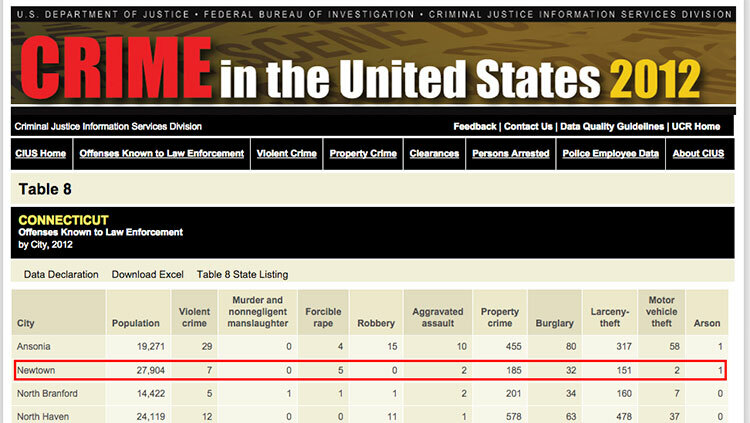 Specifically, at the URL of: http://www.fbi.gov/about-us/cjis/ucr/crime-in-the-u.s/2012/crime-in-the-u.s.-2012/tables/8tabledatadecpdf/table-8-state-cuts/table_8_offenses_known_to_law_enforcement_by_connecticut_by_city_2012.xls#disablemobile, the FBI posted statistics for NEWTOWN. I respectfully request a copy of records, electronic or otherwise, pertaining to the research, data etc. that pertains to the listing of zero “Murder and nonnegligent manslaughter” statistics for 2012. 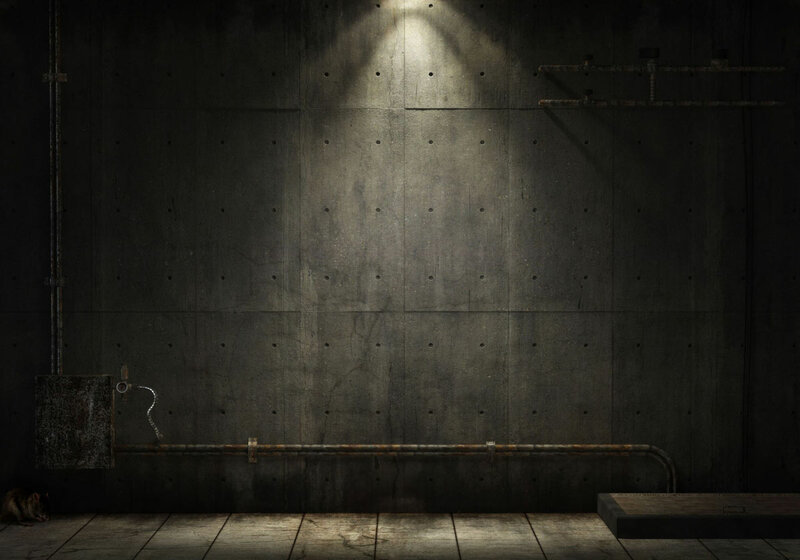 Please include all records that may pertain to this request, which may include, but not be limited to: memos, letters, reports, inter-agency communications, emails, etc. My aim is the find out what happened and why this report was so blatantly wrong. In November of 2015, The FBI released the following documents to me, as responsive to my request. I offer them here for those who are interested in deciphering what may have happened, and why the FBI put “0” for the number of deaths. 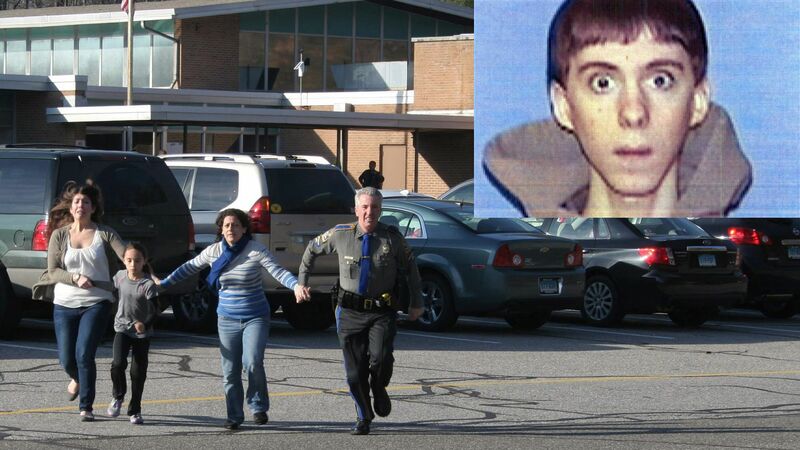 The Sandy Hook shootings were all reported under CT State Police and not Newtown, CT. 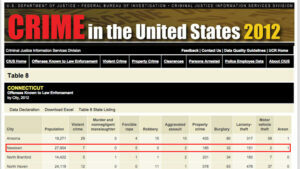 They can be found in the Uniform Crime Report- Crime in the United States 2012 .by visiting our publication at http://www.fbi.gov/about-us/cjis/ucr/crime-inthe- u.s/2012/crime-in-the-u.s.-2012/tables/11tabledatadecpdf/table-11-statecuts/ table 11 offenses known to law enforcement by connecticut by state tribal and other agencies 2012.xls (Table 11, in Crime in the United States at www.fbi.gov) and it can also be found in the NIBRS publication at www.fbi.gov, stats and services, UCR, NIBRS 2012, data tables, CT, excel, scroll to the bottom of Offense Type Table by Agency 2012. The link referenced by the FBI is now defunct, but their response is clear. I’m following up on the SHR and UCR data provided to us earlier this month. I am working on a short story about how a number of mass killings, including Newtown and Aurora, aren’t reflected anywhere in the SHR data, and how even the UCR data includes crime rates for places such as Newtown that are incorrect (0 homicides, for instance).